Lowden are an Irish guitar maker of premium quality acoustic guitars. 2014 marks the 40th anniversary of George Lowden as a commercial luthier. Doing some Sunday morning web browsing and came upon this absolute beauty. Tasmanian Blackwood has gained a reputation as one of the most highly prized tone woods in the world, with good reason. Always highly figured and with a warm, responsive tone, this guitar sounds beautiful with either Cedar for clarity or Californian Redwood for even more warmth and response. 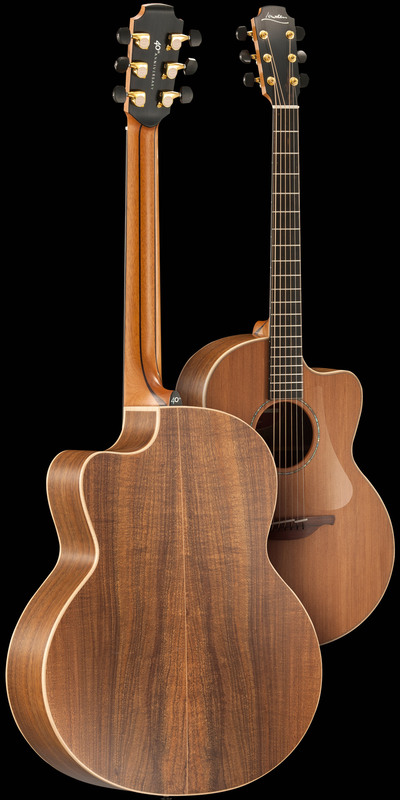 Lowden also offer Tasmanian blackwood as an option in their 50 Series guitars. Tasmanian blackwood just keeps making waves in the international tonewood market. Now who is going to tell Tasmanian farmers? When will we start taking this high-value, niche market opportunity seriously? This entry was posted in Markets, Tonewood and tagged Lowden Guitars. Bookmark the permalink. Yes, but they would have to wait another forty years to get any plantation Blackwood! In the meantime you cannot just shut down access to naturally grown native forest Blackwood. I am not against establishing plantations, but I am against locking up any more native forest, or further restricting the industry. There is plenty of scope for both. We really do need to get the forest industry onto a fully commercial and profitable footing or nothing is going to happen. In fact you will loose access to your precious public blackwood resource because it is not profitable to log. We can’t keep sacking teachers and nurses whilst throwing money at Forestry Tasmania. Taxpayer-funded community service forestry cannot coexist in the same marketplace as profit-driven commercial-based forestry. It just wont work! That’s all I want George. A large dose of commercial reality in the forestry debate.